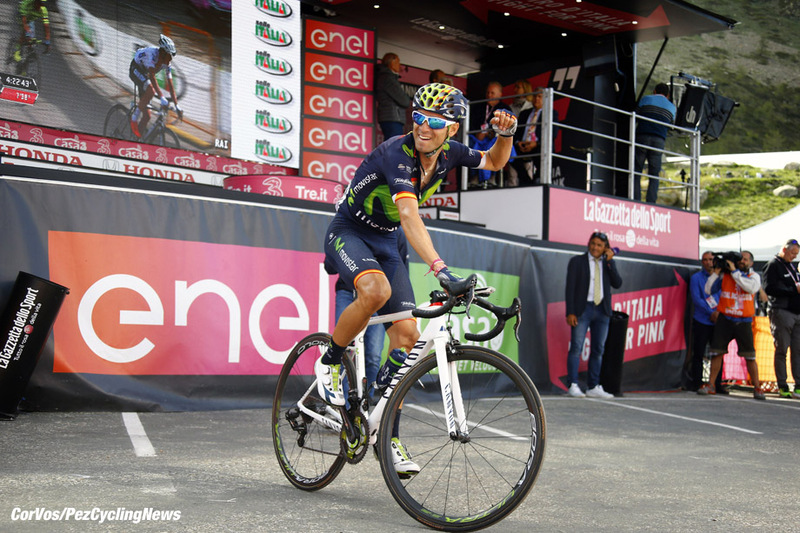 PezCycling News - What's Cool In Road Cycling : PEZ Crew Picks The GIRO’16 Best Moments! PEZ Crew Picks The GIRO’16 Best Moments! Giro Best Moments: The first Grand Tour of 2016 is behind us and maybe the 99th Giro d'Italia lacked some excitement, but it certainly has thrown up many talking points. The guys in the virtual PEZ office always have different views, thank goodness, so who better to sum up the battle for Italian pink. 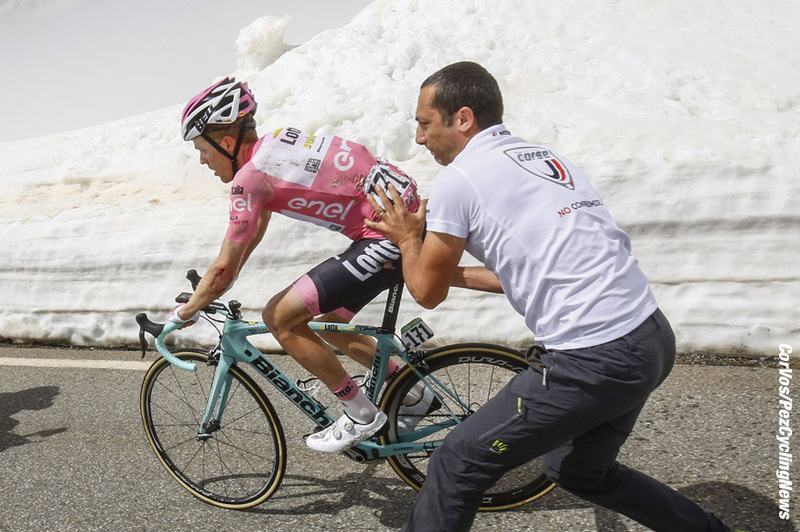 For me this Giro was almost an exercise in extremes - thankfully shifting in the right direction from a boring start to a two day thrill-ride in the closing stages. After closely following the Giro since our modern day coverage began in 2004, and having reported on the ground from ten of them, it's confirmed I'm a huge fan. But us big fans can also be the most critical - we have the highest expectations, and dish out the harshest critiques from the comfort of our armchairs when the race doesn't live up to whatever lofty ideal of action, honor, and entertainment we expect. I've come to observe the 'opening weekend on foreign soil' tactic as less about making a good race, and more about the commerce of running a big business like the Giro. The RCS has for years been struggling to turn the Giro into a profit machine akin to le Tour, so taking the race start to the highest bidder makes good sense for the bottom line. This might bug me less if the opening stages seemed at least in design to offer up some hope of more than a nervous procession around foreign soil. Not really my cup o'tea. Then the exceedingly long transfer from Holland to the bottom of the boot delivered tired riders to some tired racing. Forgettable days dominated by the long break while the GC contenders bide their time does not good editorial make. With Nibali & Valverde the only big name GC riders on the start, this one was always going to be about the new guard - and it was impressive to see Chaves, Kruisjwijk & Jungels step up and show they're promise for the future. But an exciting GC battle just didn't happen. Like so many others on the final Thursday of the race, I was fully expecting Kruisjwijk to take his 3 minutes lead all the way to Torino. It's too bad that Kruisjwijk's Grand Tour leader's inexperience got the best of him, and his self-imposed crash smashed his own dreams of glory. (You can bet he won't make that mistake again.) But it sure did make the race exciting to watch. And the next two days served up a GC battle of the ages. The pressure and ability to confirm what he'd never dreamed possible proved too much for the young Chaves. And in the end, the wily vet Nibali, found something inside himself that was as much emotion and guts as it was anything else. A boring start, those forgettable middle stages, and then a finale that no one expected turned this into some pretty good sport, that over the last weekend anyway, was darn fun to watch. Edmond Hood - PEZ Roadside King! Many are saying that the first two weeks of the Giro were a bore? Watching sprinters like Kittel and Greipel at their best is never a bore for me. And it was good to see Roglic emerge as a new 'chrono man' - and Ciccone's stage win was a belter, I always love when the ProConti teams show the mega budget squads the way home. But there's little doubt that Tappa 20 was my favorite. It was actually 'Plan B' for us to be on the Lombarda - 'Plan A' was to drive the percorso as far as Isola 2000, find a bar, watch the day unfold on TV, dash out to watch 'the passage' then dive back in to watch the finale on the 'box'. However, Isola 2000 could have been part of the set for 'The Omega Man' the cult movie where Charlton Heston is the last man left alive on earth. Onwards and upwards Dave urged the Twingo and we parked up just inside the last K to the summit. Kangert was first over, 'on it' with Atapuma chasing but too wee to rival the Estonian on the descent. Joe Dombrowski third - we'd loved to have seen him win. . . The rest of the break survivors had that sad, resigned look of men who know the game is up. 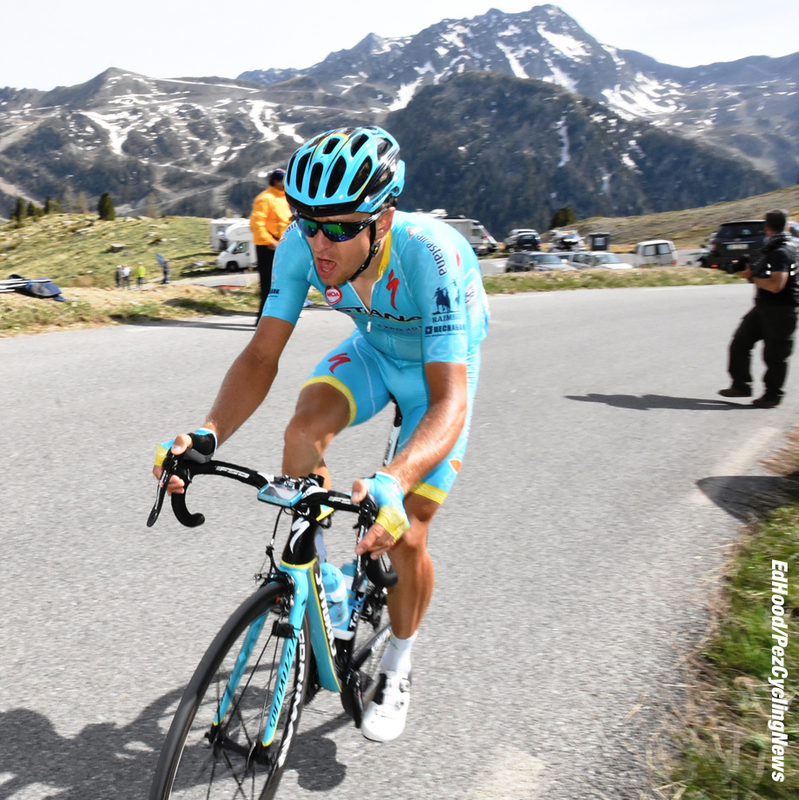 Then; two riders in baby blue way below - one is Nibali, we can tell by that square shouldered, urgent style. Scarponi the other? No, Kangert it is who's dragged his Capo clear - he 'pops' right in front of us. Vincenzo looks the part - but can this be the same man who the press were slating for his performances just a day or two ago? And the same man the team were conducting medical tests upon to establish the reason for his poor form? It reminded us of Aru's Lazarus impersonation of 12 months prior but it was certainly entertaining. One look at Chaves told us he was toiling, sitting on Urán's wheel - bearing in mind Rigo's not been at his best, this Giro. We got the full picture later, on the TV re-runs; Taaramäe saving Katusha's race, The Shark more savage than 'Jaws,' the pink jersey torn from Chaves' back and not even the podium for Kruijswijk - Valverde still as fly as a sack of monkeys. A Tappa to remember, for sure - no complaints from us about any of the last six stages, especially this one. You can read Ed's 'Giro Top Twelve' Here. The Giro's profile of emotional ups and downs for so many protagonists resembled the jagged sawtooth profile of its mountain stages. It started with Dumoulin's triumph in the Netherlands, followed by the "is he going for GC or is he not?" subplot. Then there was the emergence of young Bob Jungels, ceding the maglia rosa but tenaciously fighting on for 6th spot and making us wonder whether he will continue his strong classics riding or aim for a Grand Tour future. Of course only the hardest of hearts didn't shed a tear for Steven Kruijswijk and his disastrous tumble. Good on him for not starting a polemica about waiting or not, but rather simply saying that he f**ked up. 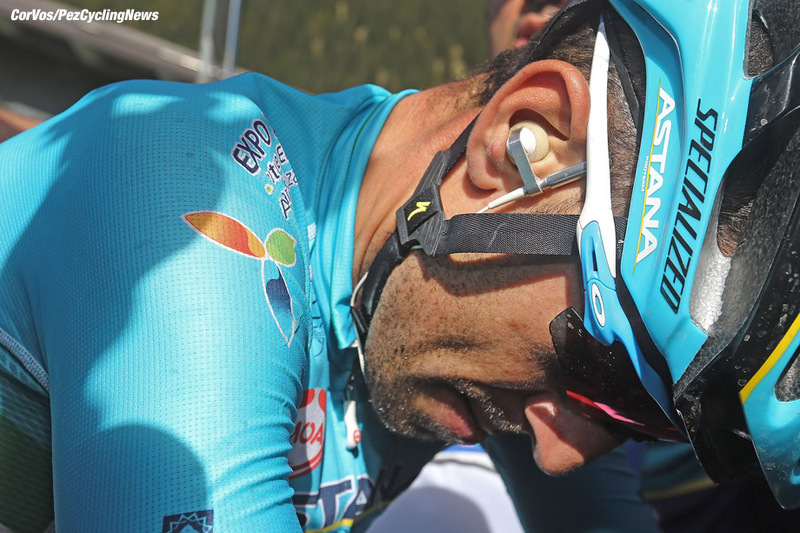 But for me, the emotional high could only be Nibali. Entering the Giro with the entire tifosi demanding victory as the only satisfactory outcome, then having everybody pile on him when he faltered, to his redemption on the final weekend. Yes, we're just watching people ride bikes, but the definition of what sports means to the athletes and to society was laid naked and raw with Nibali's sobs at the top of Risoul as he exorcised his demons. A close second was the congratulatory hug between Nibali and Esteban Chaves's parents at the finish of Stage 20, showing us that you don't have to be a jerk to be a champion. Kudos also to Chaves and the entire Orica-GreenEDGE crew. It may all be a big PR stunt, but the Backstage Pass videos showed a rider and a team that actually seemed to be enjoying themselves. Imagine that? Rein Taaramäe’s ‘Z’ victory signature, as a red-and-white-clad breakaway artist, was not so much about defending the poor and humiliating the bullies, but about honor. Just 24 hours after Ilnur Zakarin’s dreadful crash descending the Coll dell’Agnello, Estonian talent Taaramäe paid tribute to his team’s fallen leader with a dashing climb to Sant’Anna di Vinadio and a swish of the right arm. The ties between riders are stretched in competition, but this year with horror accidents and tragic losses, the relationships between team-mates, rivals, and friends crystallize and strengthen. When one rider falls, everyone is affected. Zakarin will be back, thankfully, but Taaramäe’s salute shows that even in the charged moments of a career-boosting victory it is possible to think about others. 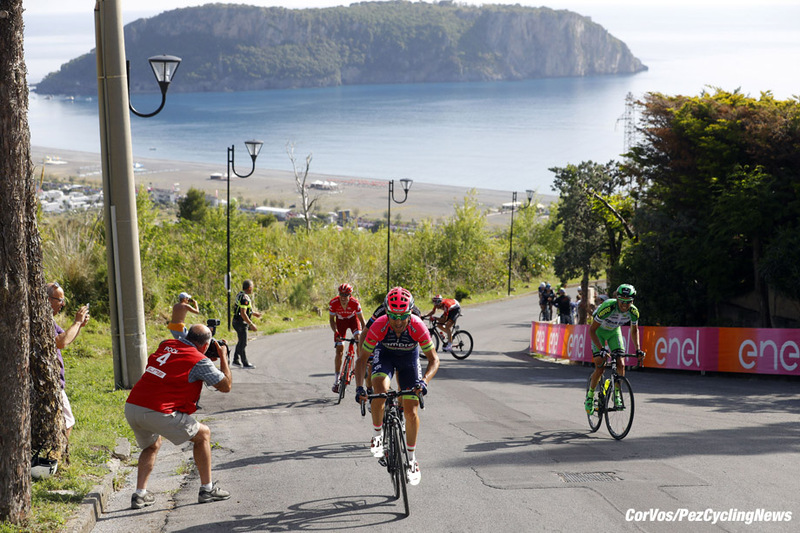 How do you pick a best moment from this years Giro d'Italia? Each day offered drama and excitement aplenty! If I have to choose just one it would be the finish of stage 19. Mr Nibali had been cooking under the unrelenting criticism of the Italian press for a somewhat lackluster performance so to see the emotional release after climbing back onto the podium was just so raw. The tears were not of pure joy, that was stage 20, instead we saw the frustration and redemption of a man unfairly (in my opinion) criticized finally pushed out of his body. When you watch those final few kilometers you can almost feel the rage that must surely have been driving him to quiet the critics and exorcise the demons. Racers are simply humans after all, subject to good days and bad, so to watch the tumult wash away from this fine champion, hours before he completed his charge to victory, when he was simply thankful to have reached his potential for himself, was a special moment that I will always remember from this Giro d'Italia. Stage 14 for me! The Queen Stage took the riders through 210 kms of some of the most spectacular landscapes known to cycling, crossing six passes in the Dolomites in a barbaric torture test. We saw Esteban Chaves snare his first Giro stage win and Steven Kruijswijk put on the Maglia Rosa as they worked together to put time into the favorites. Kruijswijk the Unheralded was to ride a brilliant Giro until it came unstuck so unexpectedly, but at the end of Stage 14 he looked like the Real Thing. Chaves has the best smile in cycling and he had every reason to exercise it that day. You never know what to expect in a Grand Tour but the Queen Stage had it all: what more can you want than epic scenery and new riders claiming their just rewards? My pick is for stage 19. It has been long time since I have see this kind of race where everything changes unexpectedly. Living in Italy gives me the opportunity to witness many stages and I decided to be there for stages 19 and 20, even if the game seem closed already by Kruijswijk (but don't be jealous, living in Italy means to pay taxes up to 50%!). So I was on the top of Agnello and I saw the selection made by the race. After the race passage, driving the car down on the French side of the Colle dell'Agnello and my friends were keeping me updated reading the various tweets from the race, It was very exciting to listen how the race was changing minute by minute and, meanwhile, driving in the same scenery of the race, passing people still on the road with their flags and their eyes still full of excitement. It's easy to forget that this Giro actually turned out exactly as many people had predicted, with a Vincenzo Nibali victory. But, as no end of travelogues and motivational posters tell us, the real joy is found in the journey and not the destination. This proved to be the case in this race. The third week should go down in cycling lore, stages 16, 19 and 20 could easily make a list of top 10 stages in the last 10 years. It also shows that the ingredients that make a brilliant stage race are a leader with a big lead but zero team support. However, my best moment isn't from that fabulous third week but rather from the beginning of the race and stage 4, the first stage in Italy. The weekend had given us a brilliant Grand Depart in the fanatical cycling nation of the Netherlands, but the quality of the stages hadn't quite matched up to the quality of the roadside support. 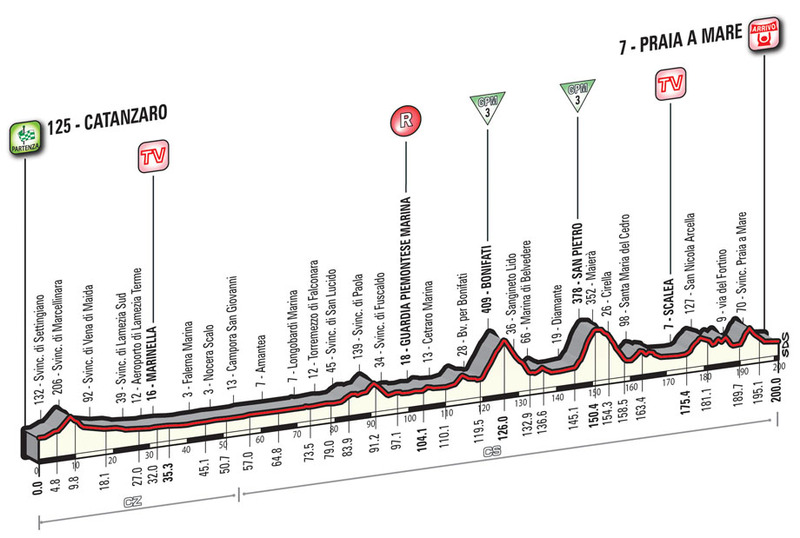 A brief look at the profile of the first Italian stage would've presented the distinct possibility of a bunch sprint, and a third consecutive win for Marcel Kittel. However, the sprinters were distanced on the mid-stage climbs thanks to a high pace and the final uncategorized climb, a wall topping out 70m above sea level was the final nail in their coffin. Valerio Conti and Diego Ulissi (Both Lampre-Merida) got into a late breakaway, Conti sacrificed everything for his team mate and set-up Ulissi for a race winning move on the final climb. The Italian's ballsy descent and the high-speed chase by Tom Dumoulin and Steven Kruijswijk were the first body blows of the GC contest and they ignited a battle that never really paused for the next 16 stages. Picking just one thing as the best bit of the Giro d’Italia is something that cannot do justice to what is always an amazing race and regularly the most exciting Grand Tour on the annual calendar. Seeing others fall in love with what is now my home race, is always something great and to see the amazing crowds in The Netherlands for the opening weekend showed just how popular this Italian race is becoming. The great display put on by local boys Tom Dumoulin and Maarten Tjallingii helped make the 2016 Dutch Deviazione worthwhile. Having a stage go through your home region and seeing the riders race across your training roads is always exciting. Mikel Nieve made easy work of the 13th stage run through the climbs of Friuli while the GC boys had their first attempt at a sort out on the final climb of the day, helping to set up the crucial final week of a very open Giro d’Italia. While pre-race favorite Vincenzo Nibali triumphed in the end, seeing riders emerge and then disappear meant that with three stages left to run, the race was far from over. This is what makes cycling exciting and is a far cry from those monotonous, predictable Tours de France from the 1990’s. Chaves was valiant, Zakarin unfortunate and Kruijswijk’s small error cost him a huge result. The Dutchman’s enormous display of character both in defeat and during the final two stages, help write the script that made local-boy Nibali’s overall win even more exciting. Once again, like always, it was a great Giro d’Italia. Well, that'll teach me to go out cycling… I come home to find that all the other guys have pinched the very moments that I had to sit and report on from the final week. So, rather than pick a stand-out moment, I'm going to go for the performance of one rider. Forget Dumoulin and his Grand Tour return, forget Kruijswijk and his fantastic performance and forget Nibali and his amazing (some would say, with Vino at the helm, frankly unbelievable rise from the dead)… I'm going to pick the performance of a Giro d'Italia debutante. I have a love/hate relationship with Alejandro Valverde… he is a rider of pure style and yet he's never been one to pass up the opportunity to kick a man when he's down. His name, and that of his dog, has come to the attention of doping control but he has also ridden some beautiful, and courageous, races. He is adept at forging alliances with other riders and then before they've had time to draw breath, attacking them at the first sign of weakness… but he does it with such flare and attacks are what make our sport so glorious, even if in the next moment, he's slipping backwards. Through this Giro, his performance has been a thing of joy to watch and even at 36 he's been able to show the younger guys how to do it with style, and have fun at the same time. His obvious delight at doing so well in his debut Giro led him to enthusiastically ask why he'd left it so long to come to Italy and its national tour… well, of course there was the small matter of his positive sample from the Tour as it passed through Italy in 2008 and his subsequent 2-year ban in 2009 by the Italian Olympic Committee. But I won't hold that against the Green Bullet and look forward to an even better July. The 2016 Giro d'Italia was not a classic version of the Italian Grand Tour, but it did keep us riveted to the TV screens as the pink jersey moved from one worthy holder to another. From Dumoulin to Kittel and back again before moving shoulders to Brambilla, Jungels and Amador, we knew they wouldn't hold the lead to Turin, but they wore the jersey with valor and in the case of Bob Jungels he could be a future winner. The next faze was made up of possible winners; Steven Kruijswijk had it in the bag, so we though, when I spoke to him in January he was super keen on a top five finish in the Giro, of course now 4th might be a disappointment. 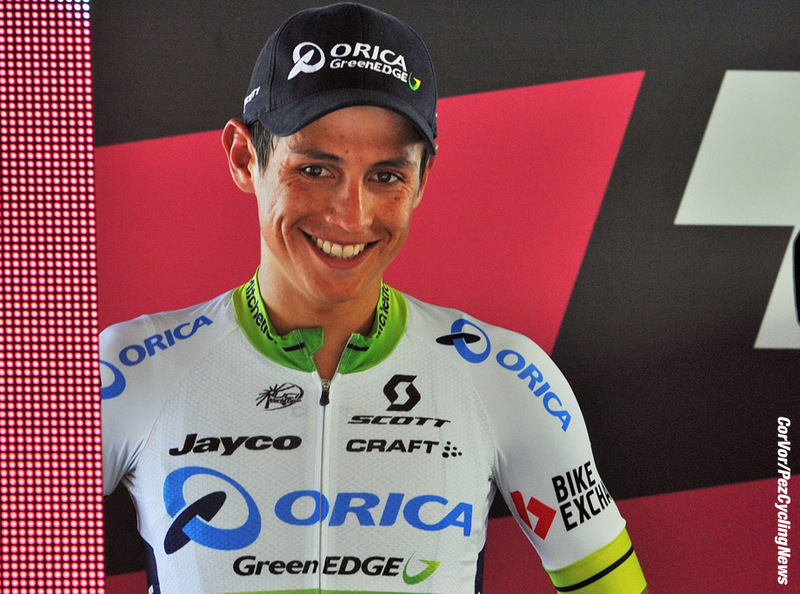 The rider who most impressed me was the next pink jersey wearer, the 26 year-old Esteban Chaves. On the road he was always near the front, was ready for any attack, his time trial wasn't too shabby and more importantly he was happy to be racing his bike. When he lost the jersey to Nibali his parents were some of the first people to congratulate the Italian champion after he crossed the line. The Colombian is not only a gifted athlete, but also from great stock. Nibali did what everyone thought he would, before the race started, maybe not in the expected manner, but he did it again. Roll on the Tour. 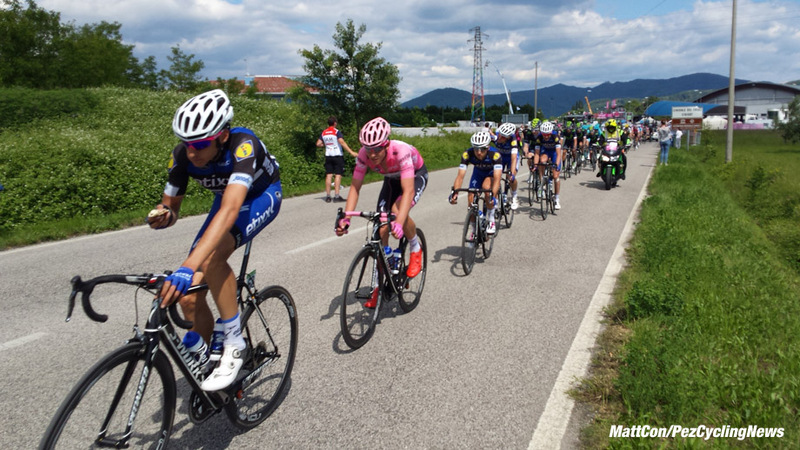 You can look back at all the PEZ 2016 Giro d'Italia coverage HERE.